In November 2016, the most I publicly did about politics was retweet Lady Gaga’s voting outfit. In fairness, it was a pretty fabulous voting outfit. The election made me realise that retweeting is not enough to support any cause. I wasn’t sure what else I could do. I had a vague idea. I knew I could find out if I bothered to ask. For a little while I continued to be passive. A friend invited me to join a protest for women’s rights. Here! An invitation to do something! I felt obligated to show up to this, even though the thought of it made me go cold with anxiety. I dreaded everything about attending a protest. The crowds, the shouting, the angst. Because the march was so not my thing, it never occurred to me that others actually felt better by going. For some, going to a march isn’t exhausting; it is energising and fulfilling. For me, this would not be the case. Feeling liberated, I decided not to go. There was no point in draining myself for the cause, when I could find another way to rebel – my own way. So I stayed in and wrote instead. Today, I have a better sense of my role in the revolution. Every time I hear the line “Hamilton still wants to fight not write”, I think, well, I want to write not fight. In the quiet of my home, writing about difficult topics is still uncomfortable. It is still scary and polarising and risky. But it’s the kind of uncomfortable that I want to stretch. I teach self care to activists. Activism is emotionally draining. ‘Self care’ can feel indulgent and not urgent, but it is more meaningful when there is purpose to rest. I am resting up for the revolution. I hold space for conversations about changing the world. Steve and I host small gatherings for wizard activists in our chapter of the Harry Potter Alliance, The EdinBurrow. We serve tea and cake, turn on the fairy lights, and talk about what matters to us. I don’t have to be an ‘advanced’ activist to create this space, facilitate, and bring people together to share their perspectives. I commit to being informed. I turned off my Facebook feed (using the plugin News Feed Eradicator), and read publications mindfully. Each month I delve into a a topic more thoroughly through the EdinBurrow’s reading lists. I attend the Granger Leadership Academy every year. I block off March in my calendar to prioritise my wizard activist training, and even more importantly, spending time with inspiring people who lift me up. I ask when I don’t understand. In her GLA keynote, Lauren Duca encouraged us to have a personal ‘rule for life’. I decided that mine is to ask when I don’t understand. I still stumble over the right vocabulary when talking about activism and politics, and challenge myself to prioritise understanding over sounding smart. I ask, I listen, and I question when something doesn’t sit well with me. 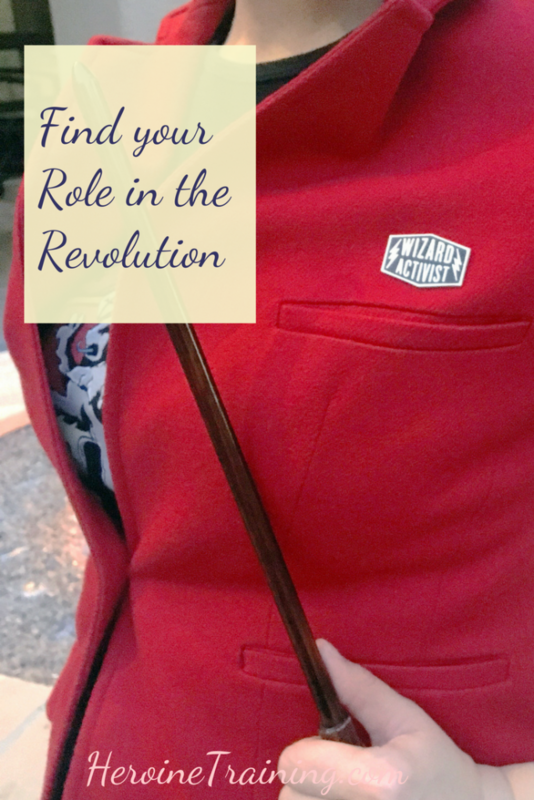 What is your role in the revolution? If you’re not quite sure, let’s figure it out together. This summer, Kayla Kurin and I are hosting the Rebel Heroine Retreat, a day of yoga, tea, and self development for courageous women. Meet us in Edinburgh (in a tower) to rest deeply, prep for your personal kind of rebellion, and join our band of super-heroines. Read more about the Rebel Heroine Retreat and enrol. P.S. 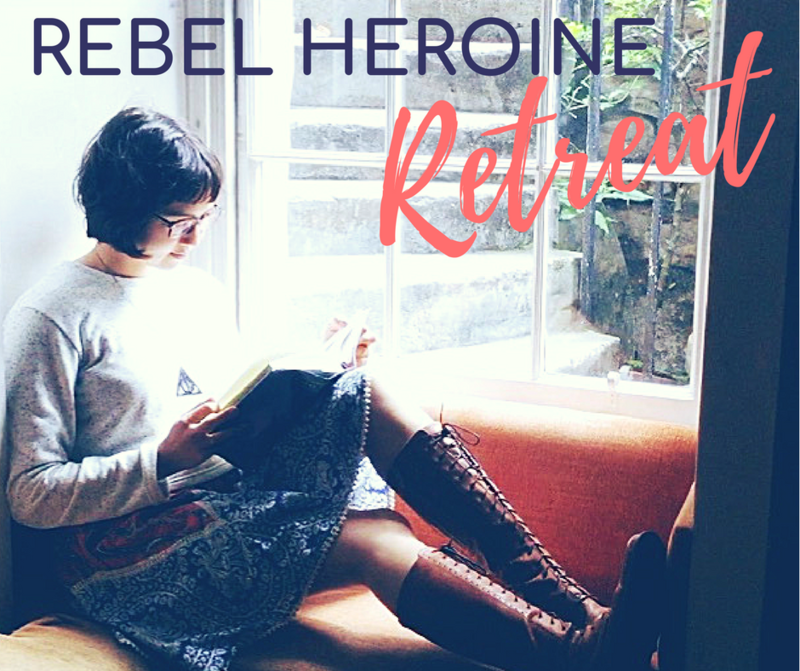 The Rebel Heroine Retreat is open to 10 heroines only and spaces are filling up. If you’re thinking of joining, do secure your spot soon!